Often described as Africa in miniature or a microcosm of the continent, Cameroon is one of the most diverse countries West Africa. Featuring towering mountains, sprawling grasslands, traditional villages, stunning beaches, arid semi-desert, volcanoes, jungles, and much much more, it’s also stable and inexpensive. You could spend weeks traversing this fascinating country busing to traditional villages, searching for elephants in the forest, or just lounging on a beach, cold beer in hand, but if you don’t have the luxury of time, here are the 15 best reasons to check out Cameroon. Set in western Cameroon’s picturesque highlands, Ring Road should be the highlight of any itinerary in the country. Named for the Ring languages and peoples that live in the 367 kilometer long circular ‘road’ (a term we use loosely here), this collection of towns, villages, and kingdoms is a good example of how Africa used to be. Beautiful grasslands, stark mountains, and scenic lakes combine with morning fog and blue skies that are perfect for hiking, biking, or camping. Like in Mali’s Dogon Country, you’ll want to ask permission from the local chief first and bring a small gift. 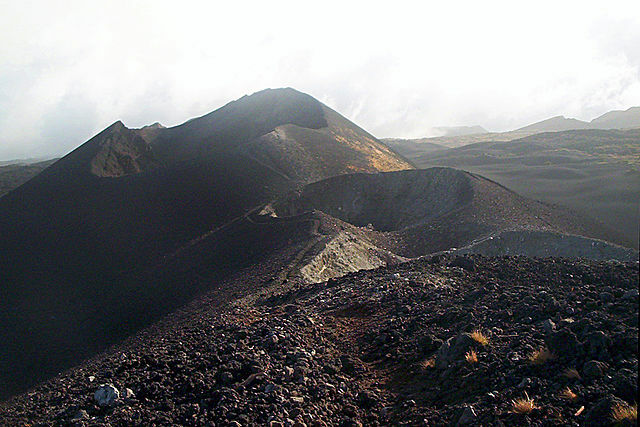 At 13,000 feet (4,000 meters), Mount Cameroon is the tallest mountain in west/central Africa. 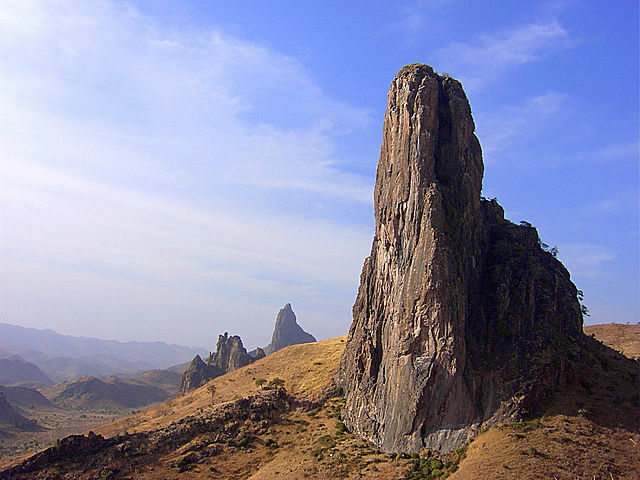 Mongo ma Ndemi means Mountain of Greatness and this challenging peak is actually an active volcano that forms the end point of the Cameroon Volcanic Line (on land anyway). Climbing it should only be undertaken with a guide that knows the area and can inform you on all the unique flora and fauna you’ll undoubtedly come across. Unlike many zoos or wildlife exhibitions in Africa, the Limbe Wildlife Center in the town of Limbe is a great bright spot on the map. 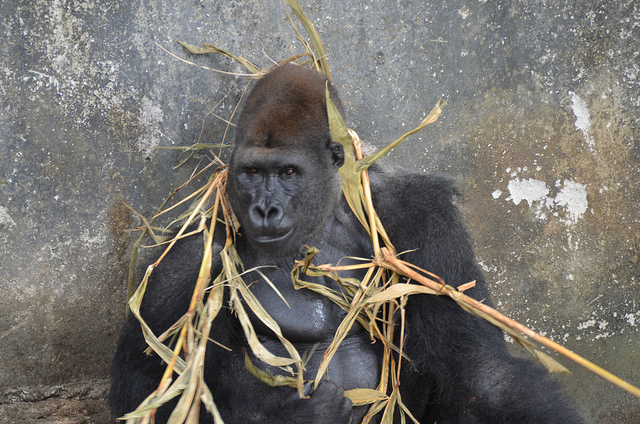 Run jointly by the Ministry of the Environment in conjunction with a primate charity, the rescued chimps, gorillas, and other primates have large enclosures and the staff are very knowledgeable as well as active in community education and engagement. 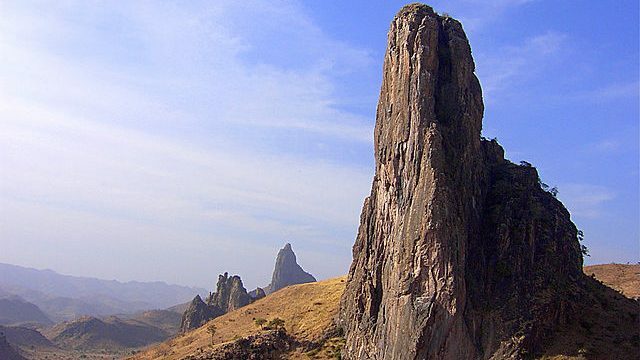 Another one of Cameroon’s dramatic mountain ranges, the Mandara Mountains are located in the far north of the country near the border with Nigeria and Chad. Volcanic bluffs, acacia trees, dust storms, and unique villages that hold fast to ancient traditions are just a few of the scenes you’ll come across in this part of the country that was made to be hiked and explored. 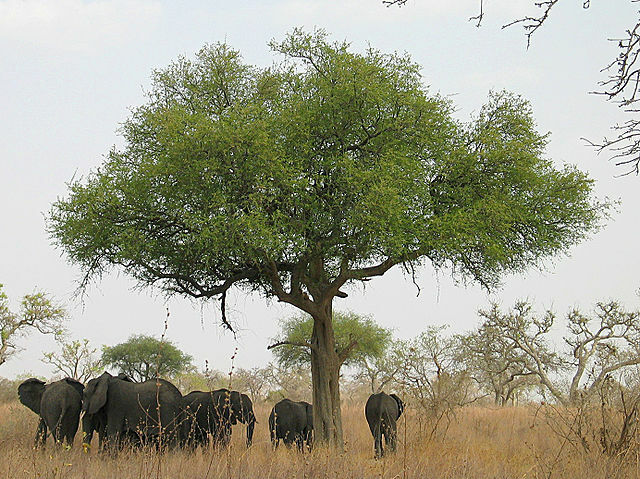 Cameroon’s best park for viewing wildlife is Waza, also nestled in the extreme north. It may not have the numbers of some of the bigger parks on the continent but the scenery is superb and you’ll likely encounter many hippos, elephants, antelopes, giraffes, and the occasional lion. Plus, you won’t have to compete with the crowds of eastern and southern Africa! Located smack in the middle of the beautiful Cameroonian coastline is Bimbia, a tiny village set among the only lowland coastal patch of rainforest in the country. You’ll need a guide and driver to get there which can be arranged through the Fako Tourist Board, but it’s worth the effort as you trek through mangrove jungle, discover bird species, and visit the ruins of slave trading posts. 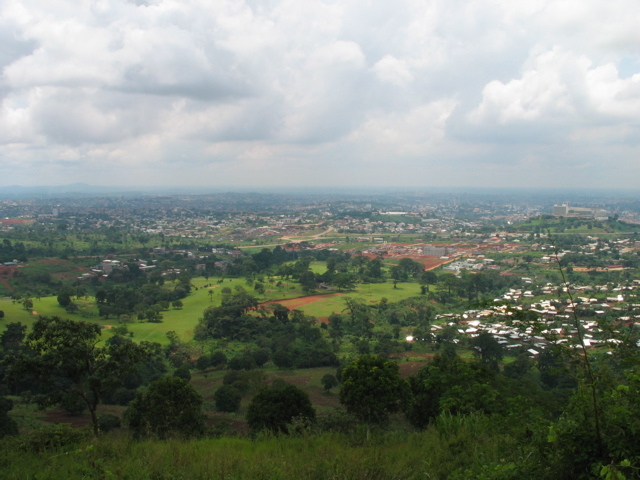 Set high on a hill with sprawling views of growing Yaounde is the Benedictine Museum of Mont-Febe and monastery and museum that is home to the Museum of Cameroonian Art. One of the monks can serve as a guide through the grounds and explain all the interesting pieces of history from masks to carvings to other ancient artifacts. 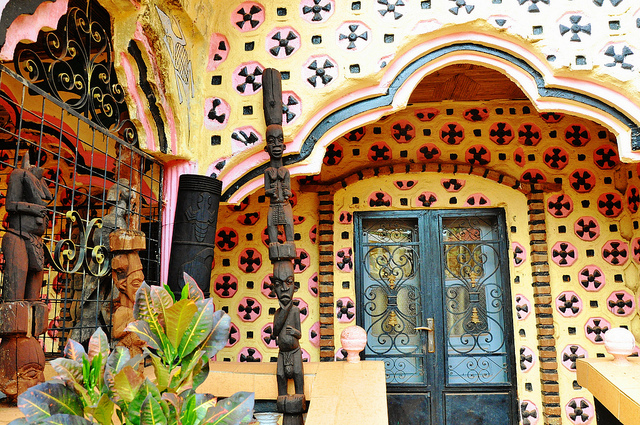 One of the best examples of traditional Cameroonian culture, Foumban is still a traditional sultanate and one of the most interesting towns in the country. Besides the Grand Marche (market) and Grand Mosque, the Foumban Palace is the highlight of a visit here. The sultan and his family still reside in the palace and there’s an interesting museum attached. South of Foumban you’ll also find an excellent artisan village. If you happen to be in Cameroon in November, make sure you schedule the Ngondo Festival into your itinerary. The fascinating festival is traditionally held by the Sawa people which inhabit the coastal areas near Douala. Held at Wouri Bay, adherents enter the water to pay tribute to water deities and according to legend, can spend hours submerged and come out of the water miraculously dry. Better go in person and let us know if it’s true or not. If you need an escape from the hustle and bustle of Yaounde, hire a 4×4 and driver and head to Mefou National Park. 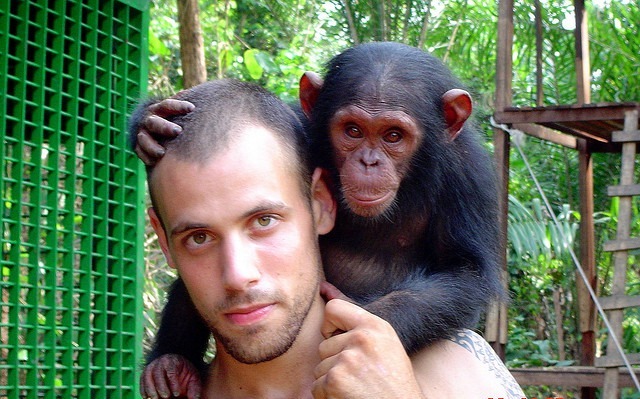 Established by the British conservation group Ape Action Africa, they rehabilitate former pets, injured, and abandoned animals like gorillas, monkeys, and chimps. While set in the forest, the animals are separated from visitors by electric fencing but you can still get up quite close and personal. Located in the far south on Cameroon’s coast, Grand Batanga is possibly the country’s most idyllic beach. 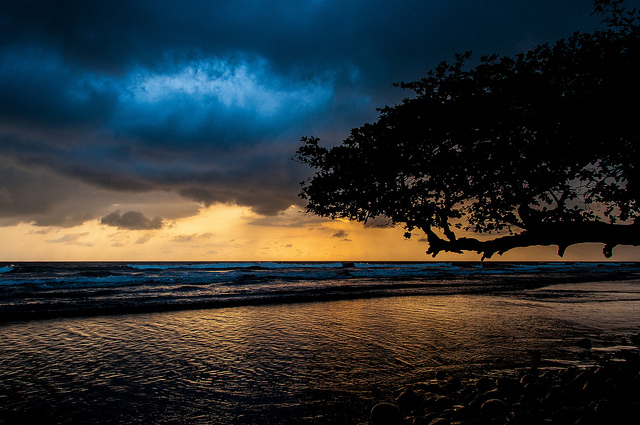 South of the port of Kribi, you’ll find this sleepy fishing village and its white sand beaches, swaying palm trees, clear blue waters, and fishing boats. As close to paradise as you’ll get in the area, cold beers and fresh seafood are always on hand. 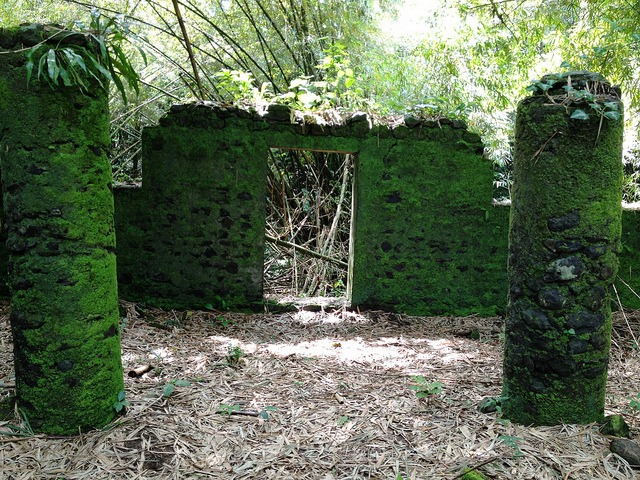 The botanical gardens at Limbe are the second oldest in Africa and also some of the most impressive. 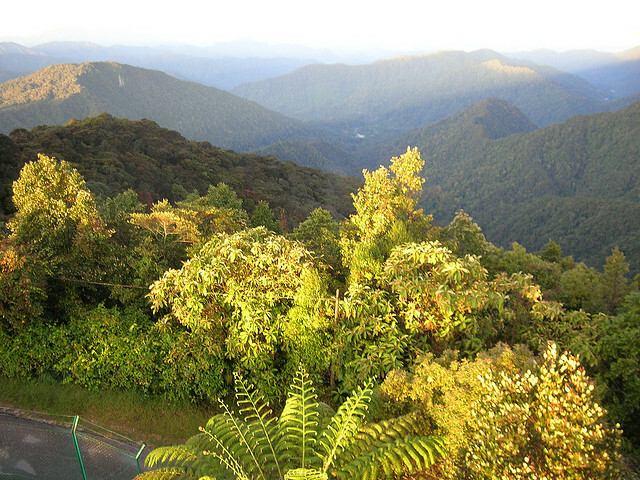 Hire a local guide for explanations of the dozens of different plant and bird species. Mango, nutmeg, cinnamon, and a tree locals refer to as ‘African Viagra’ can all be seen. Back in the far north of the country is N’Gaoundere, where the railway line ends and dirt roads begin. Head here to explore the traditional Lamido Palace, still inhabited by a local sultan. Come on Fridays (day of worship for Muslims) or Sundays when locals don their finest garb to pay their respects. To enter the residence, you’ll pass through three great pillars where the remains of three unfortunate individuals who were buried alive inside to consecrate the sacred grounds. Outside of Limbe, you can hike to the Ekom-Nkam Waterfalls for a true Jurassic Park moment. These impressive chutes seem to literally pour straight out of the jungle and you’ll really feel like you’re off the beaten path. They are best viewed during the rainy season when the water is flowing at full capacity. Bring a change of clothes as the area is often wet and muddy! 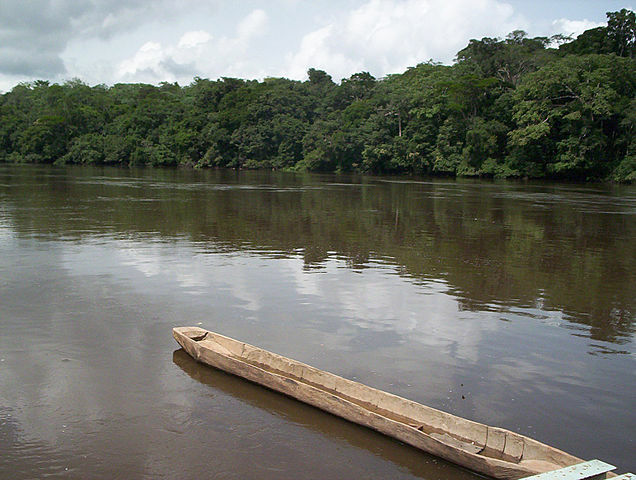 Set in the south near the border with Gabon, the Dja Faunal Reserve is another one of Cameroon’s UNESCO World Heritage Sites. Over 1,500 plant species, 320 birds, and 100 mammals inhabit this 5,000 square kilometer area (2,000 sq mi). It’s best to go with a guide who can offer further insight and arrange for trips on the Dja River in a traditional canoe.